Remember Amalia and Taylor’s jungle sanctuary? We couldn’t keep our eyes (or tastebuds) off their plant-based dishes so, we brought them back to give us a fresh take on a classic Mediterranean recipe. Traditional Tabbouleh is made with bulgur wheat, which can be hard for some to digest. 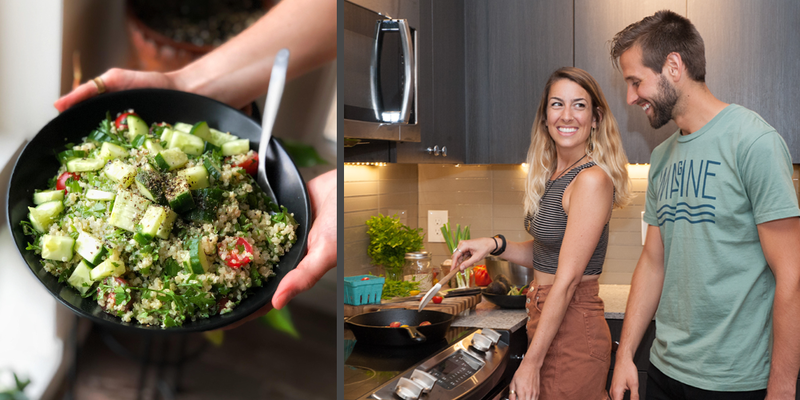 We choose to substitute quinoa, a protein-packed little seed that provides a delicious, subtle, nutty flavor to any dish. 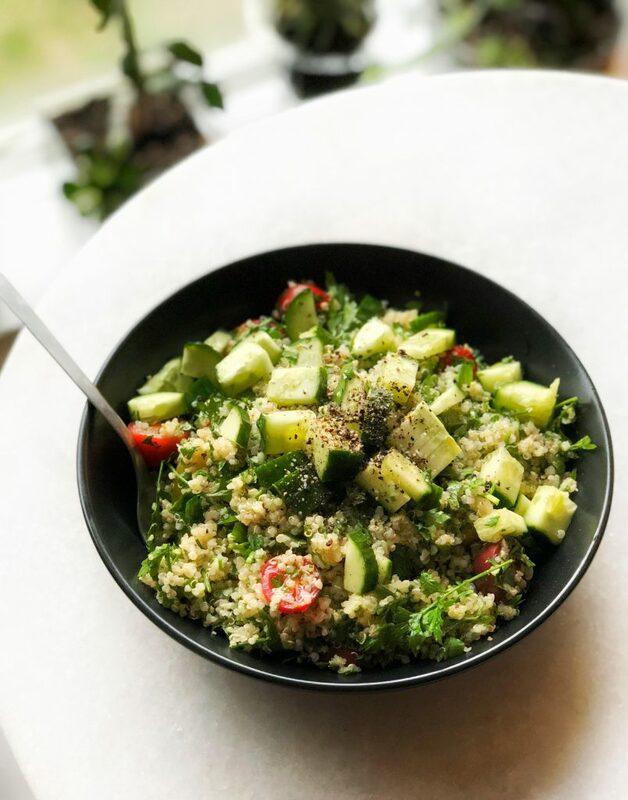 Our quinoa Tabbouleh keeps well in the refrigerator for up to a week, can be eaten as a main dish, or the perfect complimentary side to any meal. Cook quinoa then let cool until room temperature. Once quinoa has cooled, add lemon juice, olive oil, scallions, mint, parsley, cucumber, tomatoes, and salt & pepper. Stir to combine, then give it a taste. Adjust flavors as necessary. Serve as is or cover and refrigerate for later. We recommend letting the tabbouleh sit for a few hours before serving to let the flavors combine. Enjoy! Want to try more of Amalia’s plant-based recipes? Order your copy of The Wholesome Bowl today. Kitchen Chronicles is a chef, foodie or home cook’s dream. Come back for more of our easy and “mostly” healthy recipe options for you and your friends/ family. We know your taste buds will thank you.